Characters in Steven Spielberg’s forthcoming “Ready Player One” don Oculus-like headsets to fight an evil corporation in a virtual reality universe. Jefferies says the movie could fuel demand for VR headsets, and tangentially help boost AMD and Nvidia, whose chips power the headsets. “Ready Player One”– a futuristic Steven Spielberg movie based on a best-selling novel by Ernest Cline – is being trashed online before it even premieres, but at least one Wall Street research shop is betting it can boost sales for chipmakers Nvidia and AMD. 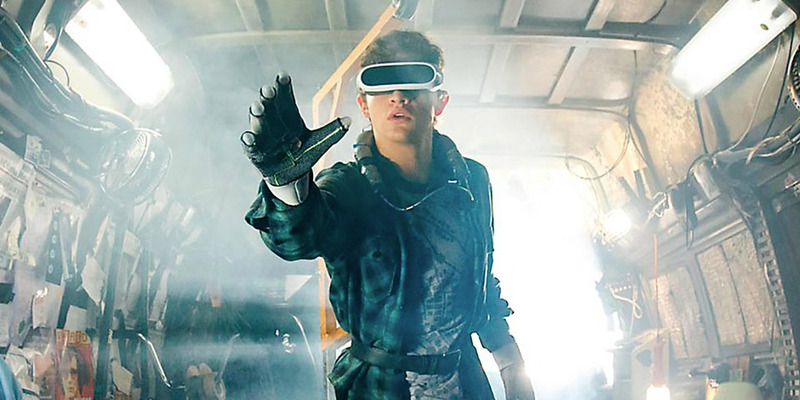 In the movie, lead character Wade Watts, played by Tye Sheridan, dons a virtual reality headset – or at least something that resembles an Oculus Rift – to take on an evil corporation in the virtual world called Oasis. Those headsets, naturally, are powered by high-performance graphics processing units (GPUs) made by both AMD and Nvidia. “We believe that the movie will drive sales of VR headsets that require high-performance GPUs from NVDA and AMD,” Jefferies analyst Mark Lipacis said in a note to clients Monday. The bank already has bullish targets for both stocks: $US300 for Nvidia and $US19 for AMD, both well above Wall Street’s consensus targets of $US250 and $US14.87, respectively. Nvidia is set to open at $US246 Monday morning, while AMD is set to open at $US11.79. The renewed focus on VR headsets could also be a welcome return to normalcy for the chipmakers. Both companies have been dragged into the cryptocurrency hype as their chips, which made up 84% of Nvidia’s revenue in 2017, have seen a huge uptick in demand for use in mining rigs. Will movie goers be inspired to don headsets of their own and thus increase demand for Nvidia and AMD? We won’t know until after “Ready Player One” hits theatres on March 29.